Kenny Gaudreau stood in the middle of the cage. Not in his fight shorts, hand raised, celebrating a victory as he was expecting to do 24 hours prior, but in a dark suit, head held high, addressing the crowd. He said that his mom had flown from Florida to watch him fight and that he was heartbroken that he was not able to perform and showcase the skills he had been sharpening for weeks prior, in front of his friends, family, and his Disciple MMA teammates. He humbly and respectfully declined as the promotion offered him the Fire & Ice Welterweight belt, saying that he was raised with the ethic of earning what he received, and that while he appreciated the offer, he had not earned it. He also added that he would gladly fight for it, if asked to, at a future event. Gaudreau was expected to fight in the promotion's main event - a 170 pound title fight against Tennessee fighter, Anthony Lemon. At weigh ins, Lemon came in a whole weight class higher, 185 pounds, shattering the chance of both fighters facing off. Oddly enough, Gaudreau’s teammate, Willie Floyd’s opponent was also a no-show (the fifth opponent in a string of back-outs). With Lemon and Floyd being relatively close in weight, the commission allowed Floyd to fight Lemon - but more on that later. Fire & Ice FC made it's promotional debut, on Saturday September 19th in Winchester, in what was the area's first show to feature Pro fighters. Originally set to have nine Pro and eight Amateur fights, the previous day's events - which also left popular local pro Brett Glass without an opponent - reduced the card to six Amateur and seven Pro fights. As with any first event, there were some kinks that need to be worked out for future shows. Particularly in the case of time management, delays in fighter entrances, and general crowd traffic issues. All in all, easy fixes from a production standpoint. With 10 of the 13 fights ending in the first round, most fights were significantly one-sided, usually showcasing only one dominant performer, with a couple of competitive matches woven into the card. The first Amateur fight of the night ended up a majority draw, as hometown fighter Isaac Meadows made his MMA debut against Florida’s Joseph Zoscak. Meadows won the first and last rounds decidedly, one judge even gave him all three rounds, despite spending a significant part of the second round mounted or fighting off arm bar attempts. At one point in the fight, Meadows, working on top position in Zoscak’s guard, was deducted a point by ref Mike Doleman for a headbutt infraction, hence the 28-28, 28-28, 29-27 decision. The Amateur side of the card also offered three amateur title fights. For the Bantamweight strap, Disciple's Desmond Torres found a way to quickly take his opponent, James Huffman to the ground, pass his way to back mount and sink in a rear naked choke that made Huffman go out before he could tap. Two Pennsylvania fighters, Chris Stanton and Nathan Boyer, fought for the Amateur Heavyweight belt. Stanton, who had not fought since 2009, was able to get back in there and showed no ring rust. While clinching up with Boyer, Stanton pinned him up against the cage and delivered multiple knees to Boyer's head, the last one knocked him out and forced referee Scott Howard to stop the action and tend to Boyer. In the last amateur fight, Mumia Abu Dey Ali made quick work of hometown fighter, Joe Bauserman for the Amateur Welterweight belt. Dey Ali dropped Bauserman with strikes, got on top of his opponent and finished with enough ground and pound to force a referee stoppage. Starting off the Pro side of things, MMA Institute’s Shaun Spath, who went 9-1 as an Amateur, made the best out of his Pro debut against Brandon Creed, who was also making his first Pro appearance after going 8-2 as an Amateur. Creed attempted to clinch with Spath early, and Spath was able to get behind Creed, secure a grip and bring him to the ground, where the rest of the fight played out. Spath passed guard and eventually mounted Creed, throwing a barrage of punches and elbows that both opened up Creed’s face and ended the fight. One of the more competitive fights was a fight between Crossroads MMA fighter Daniel Yeagley and American Top Team's Caleb Williams. Williams found his range, and Yeagley's face, early scoring a knock down. Once on the floor, though, Yeagley managed to attack Williams' legs, attempting multiple heel hooks. Williams was patient in getting out of trouble, and once free, he attacked with a flurry of uncontested strikes that made Yeagley tap out. In the lead up to the impromptu fight between Floyd and Lemon, two things were evident. One, there was no way that Lemon even tried to make 170 pounds, and two, Floyd was trying to be as jovial as he normally is when his name is being announced, yet an air of frustration was very evident. Lemon was able to get some big power shots in early, but the better conditioned fighter, Floyd was able to stay on the outside for most of the contest, picking his time to land cleanly, and when a straight left dropped the visibly tired Lemon, Floyd pounced and looked to let his frustrations out on his opponent, forcing the ref to stop the fight. In light of the previous day's lineup change, what was set to be the co-main event, a Lightweight title fight between Team Rockbottom's James Rumley and Hybrid Training Center's Sam Eure, was bumped up to the main event. The taller and longer limbed fighter, Rumley, quickly found his range and landed a big head kick that caught Eure flush, and dropped him. Rumley attacked quickly to not allow Eure to recover, and the strategy worked, shortly after several ground strikes landed, the referee called a stop to the contest. All in all, FIFC has some very good things going for it. A venue big enough to fit a monstrous 30 ft. cage and still plenty of space for an audience to enjoy, a broadcast team of current and former high level Pro's like Colton Smith, Aaron Riley, and Johnny Curtis, and a dedicated showrunner in Angel Ortiz, who you can tell wants the best for the organization. They will just need to shore up some small production issues and find a crop of fighters that are driven and professional enough (whether an Amateur or Pro) that will show up on time, on weight and ready to fight once they sign a bout agreement. 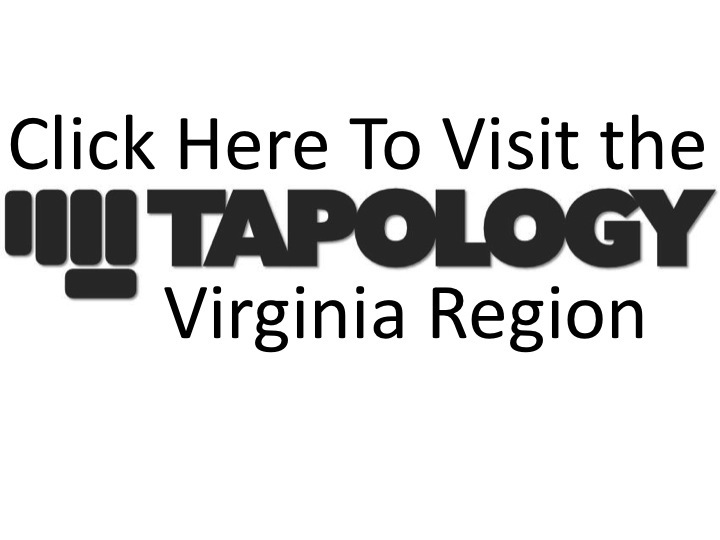 For full fight results, go to the FIFC Tapology event page.